Today I started learning about DAX basics and how it works on Power Pivot. Here is a basic and simple concept about it. Data Analysis Expressions (DAX) is a collection of functions, operators, and constants that can be used in a formula, or expression, to calculate and return one or more values. Stated more simply, DAX helps you create new information from data already in your model. 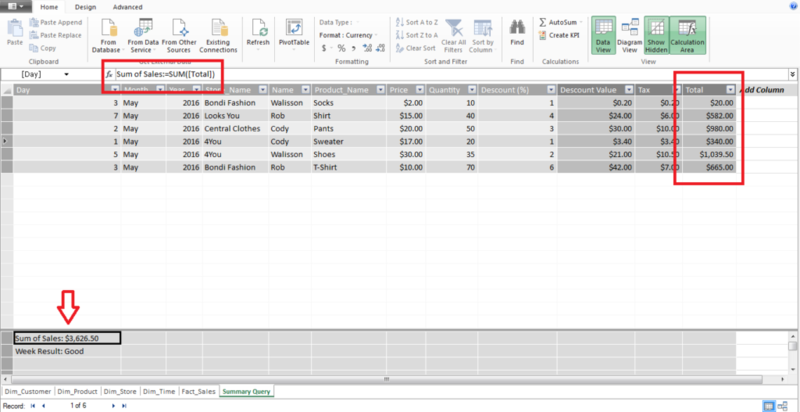 If you are already familiar with creating formulas in Microsoft Excel it’ll becomes easier. Let’s look at a simple DAX formula for a measure. The measure name Total Sales. The equals sign operator (=) indicates the beginning of the formula. When calculated, it will return a result. 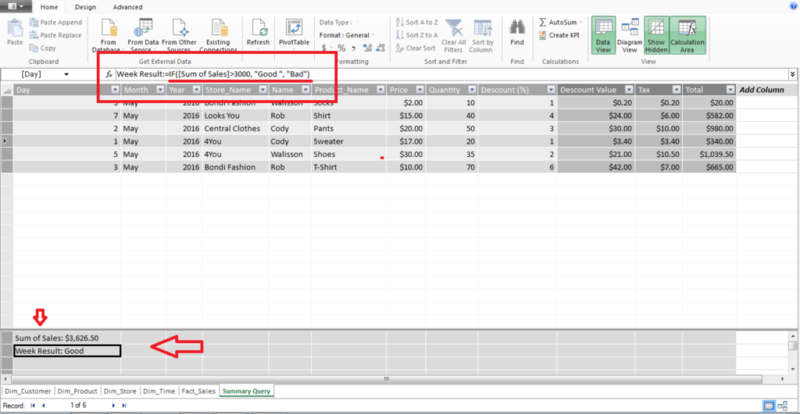 The DAX function SUM adds up all of the numbers in the Sales[SalesAmount] column. You’ll learn more about functions later. Parenthesis () surround an expression containing one or more arguments. All functions require at least one argument. An argument passes a value to a function. The referenced column [SalesAmount] in the Sales table. With this argument, the SUM function knows on which column to aggregate a SUM. We are learning about DAX basics so we need to practice and have a better understand of how to do it, I got the Power Pivot file of the last episode and tried to do some commands. Then I did an IF command that verifies if the sum of the sales is more than $3.000,00, if true, it returns an text: “Good”, if not, it returns: “Bad”. Are you learning about dax basics now? Let’s learn more in the next episodes!